THANK YOU! The family is on a roll! 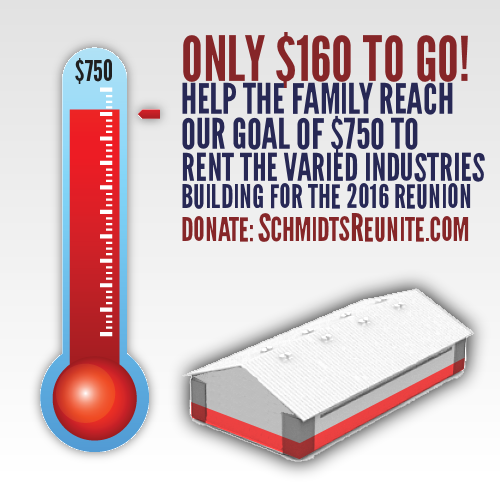 We are now 79% of the way to meeting our next goal of raising $750 to rent the Varied Industries Building for our 2016 Reunion. The Varied Industries Building will house a fascinating Schmidt family history museum full of interesting displays and family heirlooms. Your donation could be the one that accomplishes the goal.